I am so excited to team up with KUTS to share this gorgeous backpack with one of you guys. All you have to do is to follow KUTS instagram account and me, comment in the instagram giveaway picture (Here) and tag a friend. I will randomly pick one lucky winner and contact the winner through Instagram DM. The giveaway will end on 20 February. Good luck everyone! Let me share some of the thoughts on this backpack. 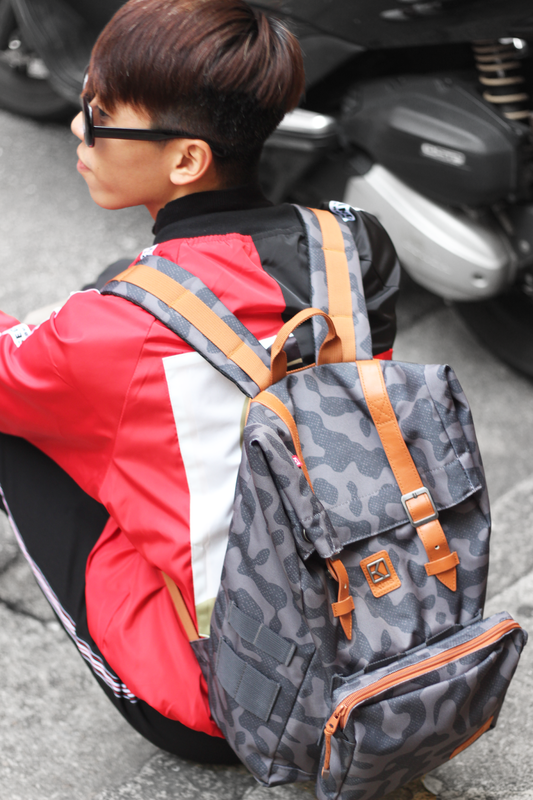 I must say I really love this KUTS camo backpack! First of all, the backpack is super light weight with well-made materials. The quality is perfect! Therefore, I wore this backpack to school almost every day after receiving it. Also, you can basically put almost everything inside the backpack. I can put all my notes, water bottle, camera and even my jacket in the backpack! More importantly, it contains big lateral zip which enable you to take the things inside your backpack much more freely. Therefore, over speaking, I am so satisfied with this backpack. For this outfit, I am wearing red, one of the most trendy colour recently! You can never go wrong with red and black. The pop of red is super eye-catching. This Zaful jacket is super cute. This jacket is not that thick which is so perfect for the warmer winter. To add some interesting elements to the outfit, I wore these comfy Zaful socks and Gucci sneakers to complete the look. 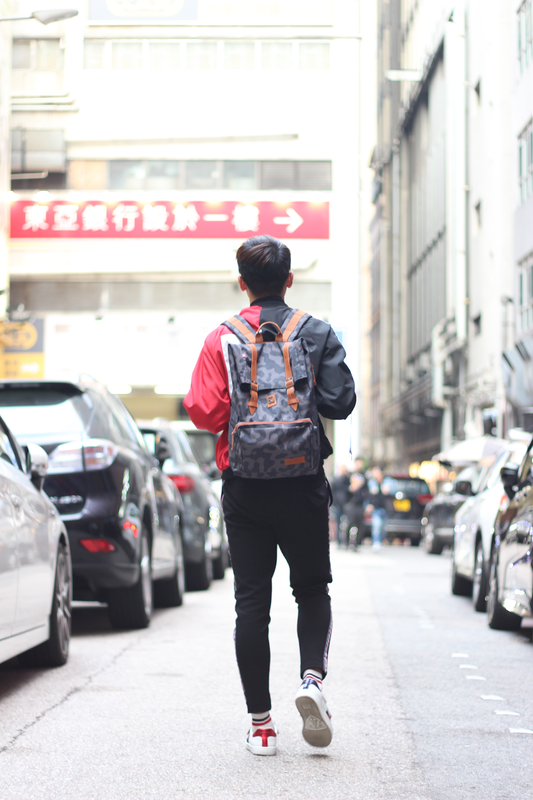 Do you guys love this KUTS backpack and the outfit? Let me know on the comment section! Also, do not forget to enter on the giveaway as well! Love your backpack!! It's so cool!! Really cool backpack, good luck to everyone! Love the sneakers too, nice design! I'm a lover of KUTS backpack and your is amazing!!! Cool look! I love the helmet. Such a cool backpack! I have the same bomber! What a cool backpack and giveaway! Love the backpack and the way you have styled it. I really like your cool sneakers! What a cool backpack, Daniel! I also love the overall outfit, so street style fresh! Those sneakers also have my full attention! Thanks for sharing and I hope you're having a great start to your week so far! Very cool backpack and it looks practical too, love that! Great backpack and I love your trainers. That's a pretty cool backpack! That is such a cool backpack. Loving the street and classic design vibes. I love this entire look, but the bag really helps draw it all together! Your style is literally flawless, and this all comes together so perfectly. It was thinking about whether I could utilize this review on my other site, I will connect it back to your site thoughGreat Thanks .